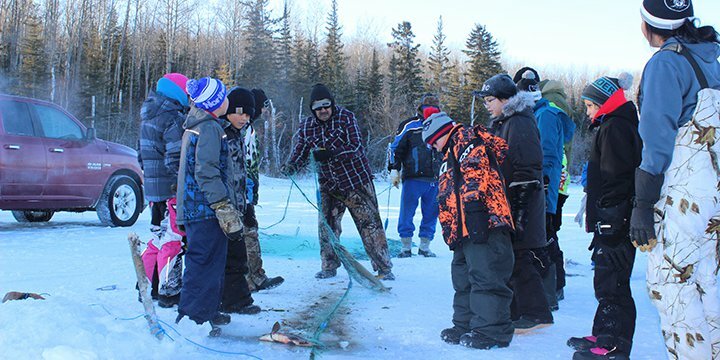 As the saying goes, so much of the future lies in preserving the past, and recently a group of students came together to preserve the future of Dene culture in Saskatchewan. The camp, which took place from January 10-13, 2017, was made possible by Cameco Creative Kids Northern Cultural Fund, and was also supported by the Buffalo River Band. Cameco has provided $90,000 over three years to Creative Kids for the Cameco Creative Kids Northern Cultural Fund. According to Chanalquay, a group of six Elders (three male and three female) who were familiar with the area accompanied the students during their culture camp experience, which included setting and checking fishing nets, cleaning and filleting fish, snaring rabbits, cooking bannock and attending a sweat lodge ceremony. Other activities included listening to Dene Elders stories and participating in a sharing circle. “The idea of culture camp is important,” says Chanalquay. “The youth learn traditional practices and can use their skills whenever they decide to go out on the land and fish. 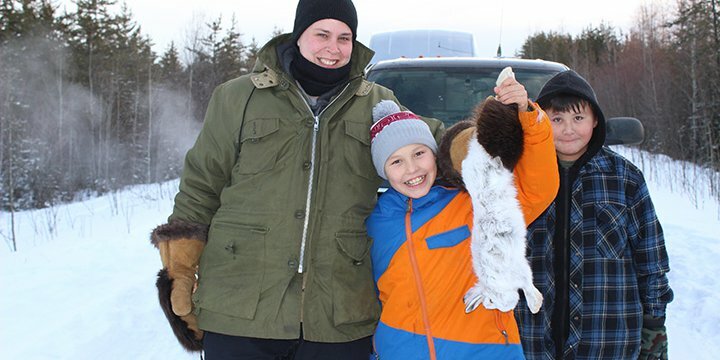 If they know those skills, they can be prepared for their future and hunt food for their families.” These practices are important to their understanding of their identity as Dene peoples.